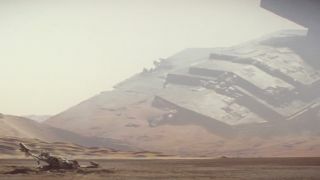 The Star Wars: The Force Awakens reviews are appearing in droves across the web, and the overriding feeling is that it's brilliant. Phew. We're doing our best to avoid reading any spoilers – and just like the majority of fans we're watching it at midnight screenings – but careful perusing with the Chrome spoiler-plugin fully operational has given us New Hope for the franchise. In fairness, given how terrible the prequels were (not to mention how much they tried to spoil the original trilogy) this should have been an open goal for director JJ Abrams – but as Diana Ross knows better than anyone (YouTube), things can go wrong. We'll be putting our Star Wars: The Force Awakens review up in a matter of hours, but to tide you over until then (and until you see the film obviously), here's a list of things you can do to fill your time.